New Senior Care Plus building on Professional Circle. Senior Care Plus, a Medicare Advantage Health Plan, held a grand opening August 19th, to introduce its new location near the Renown South Meadows hospital campus. SCP, a division of Hometown Health, offices are now located on Professional Circle where expanded workspace is dedicated to 250 employees who have watched the company outgrow the Harvard Way location. Jules Ackerson, Hometown Health Marketing Business Partner, says the new building has plenty of office space, conference areas, a bistro, and sweeping views of the South Meadows landscape. 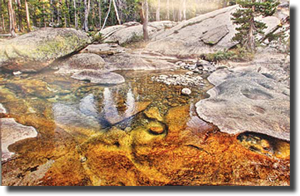 The building also has extensive artwork by photographers who have captured landscapes of northern Nevada. Ackerson says the idea to provide an enhancing, beautiful workplace for employees occurred during a lecture presentation from Dewitt Jones, a professional speaker/photographer. 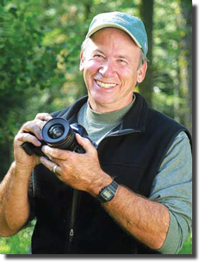 Jones created a non-profit called Healing Images, photographic images to heal people. 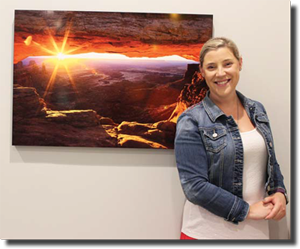 Jones, a former National Geographic photographer, has over 700 images donated by top photographers for placement in healthcare facilities to promote healing and wellness. The pictures create a breathtaking gallery from every region of the country designed to heal the soul. 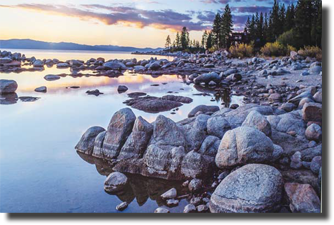 Image of Lake Tahoe shot by Dewitt Jones. Ackerson purchased over 200 images for the building; many photographed locally featuring Lake Tahoe and desert landscapes of rural Nevada. The images are grouped with other like photos depicting Nevada. A conference area on the first floor is called the Great Basin Auditorium, while other areas of the building are called Sagebrush, Pinion, Aspen, Bristlecone, Zephyr, Birch, and Battle Born. Jones created Healing Images in 1995 when a hospital administrator approached him with the idea. Both patients and staff benefit from healing images. 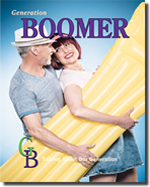 Patients have less anxiety and stress, need less pain medication, have lower blood pressure, and a higher satisfaction of their experience in the hospital. While healthcare facility workers are more positive and satisfied with their work experience. Jules Ackerson poses in front of art at the Senior Care Plus building. The SCP offices are located at 10315 Professional Circle, Reno, NV 89521. Hours of operation are: Monday through Friday, 8-5 p.m. You do not need an appointment. Phone SCP/Hometown Health at 775-982-3232. 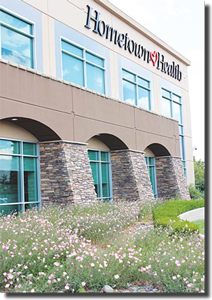 Established in 1988, Hometown Health is the insurance division of Renown Health and is northern Nevada’s only locally owned, non-profit insurance company providing wide-ranging medical coverage.